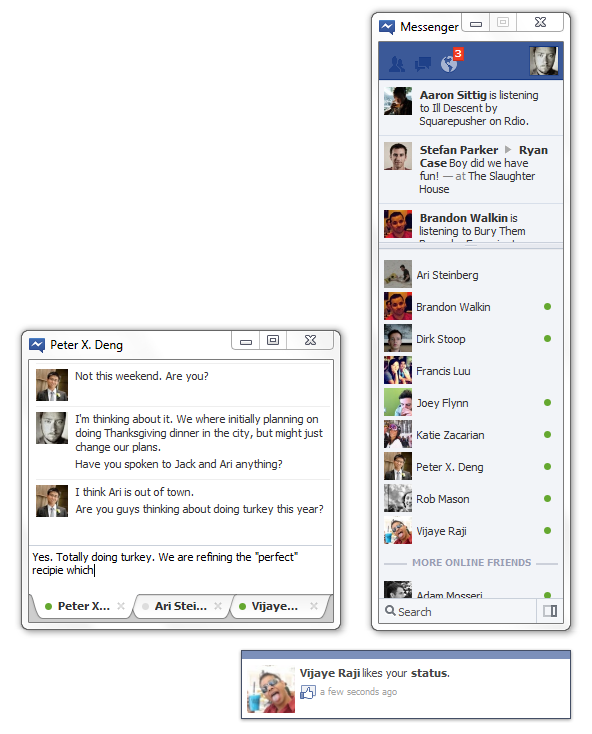 The Windows app looks almost identical to the chat bar on Facebook.com. Users can permanently dock the chat bar on their home screen or access chat via the Windows system tray. Users get notifications when friends want to chat. Friend activity is also shown, however clicking on these items will take you to a web browser. The same goes for messages in your Facebook inbox. 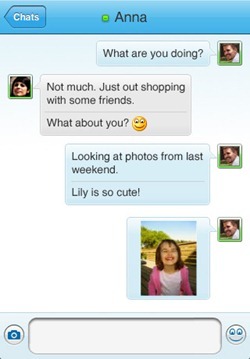 Previews post I wrote about the official Windows Live Messenger for iPhone and now the Windows Live Messenger for PC is available in beta version. Messenger will be available with Windows Live Essentials pack that include also new betas of Windows Live Photo Gallery, Movie Maker, Mail, Writer. This release of Essentials is focused on two things: connecting Windows 7 to the cloud services you already use, and making everyday tasks simpler, so that you can do more on your PC. Steve Ballmer previewed last day Windows Live Messenger in Brazil. He talks about the cloud and the new features in store for Messenger customers. 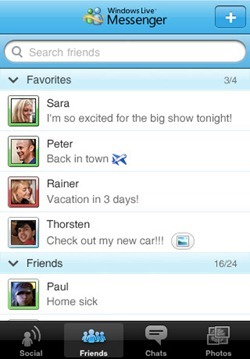 Windows Live Messenger is the first application of Wave 4 to be unveiled, will bring a greater number of games, the creation of badges, more integration with social networks and the possibility to leave a video message to friends who are off line. Other thinks that you can find are the search results integrated with Bing, support for high definition video messages, the new tab management for different conversations, integration with Hotmail and Messenger Companion, also an add-on for Internet Explorer. The last think that I want to quote is availability and the support for mobile devices (OS) as: Windows Phone, iPhone and BlackBerry.